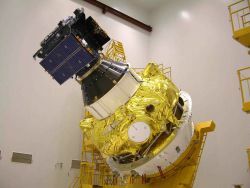 Due to unfavorable weather conditions of the Guiana Space Center near Kourou, French Guiana, Arianespace decided to postpone the launch scheduled for today (August 21, 2014) of Soyuz flight VS09 carrying Europe’s fifth and sixth Galileo satellites — and the first of the fully operational capability (FOC) spacecraft. 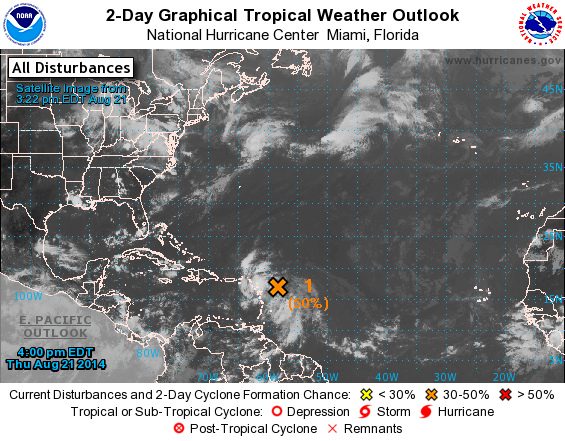 A tropical disturbance in the Atlantic Ocean nearing the Lesser Antilles (see NOAA satellite image) could potentially developed into a tropical depression or tropical storm. 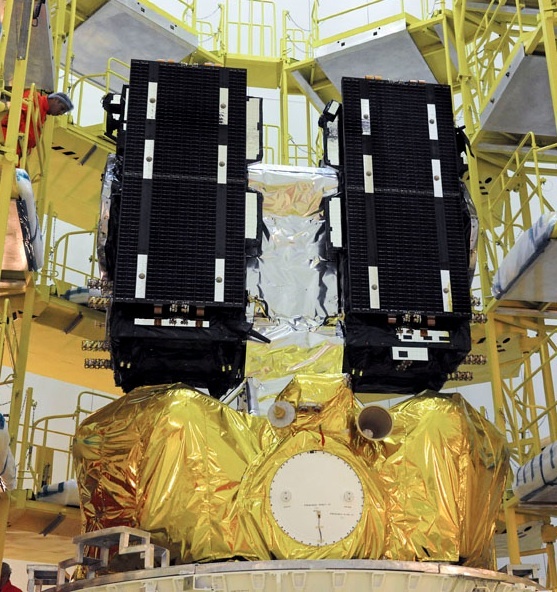 The satellites were transported to the launch complex on Tuesday, having previously been attached together by dispenser, then placed atop their Fregat upper stage and finally enclosed within their protective launch fairing on the Soyuz. Arianespace has announced the next launch attempt for tomorrow (August 22, 2014) at 12:27 GMT, 14:27 CEST.